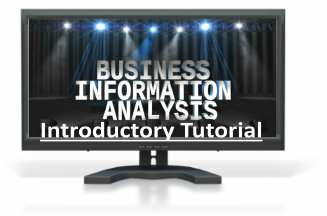 This tutorial teaches you how to analyze the processing aspects of any business large or small. This tutorial is intended to give you a good knowledge of Process Analysis using Customer Focused concepts and a reading knowledge of the analysis effort result, which is a Business Process Analysis Specification. That specification captures the Essential Business Processing and Workflow in an organization or business area. Why learn Business Analysis from us? For over 3 decades the creator of our video content, Brian Dickinson, has taught thousands of students in onsite business and technical workshop seminars. He is a sought after keynote conference speaker and author of many Business Analysis books. He is one of the original authors and educators on the subject. Our online Business Process Analysis courses are the same ones that Fortune 500 companies and large government agencies have requested we teach to their in-house IT/IS and Business staff - with impressive evaluations. Our Customer-focused, event-driven Methodology shows how to use Business Analysis in concert with other development methods and models to obtain an efficient, productive, agile business. This fast moving online video tutorial teaches you how to produce a basic Business-Event-Driven Process Model for any size business. It covers essential aspects of Process Analysis in less than an hour using practical examples. Even though this is a beginner's introductory tutorial, if it is used to analyze a small organization you will probably find that there is enough information in here to do a good analysis of its business processing.